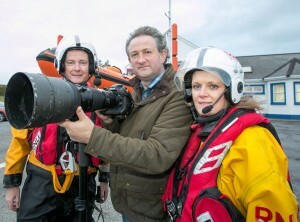 Clare Champion staff photographer of 25 years, John Kelly. 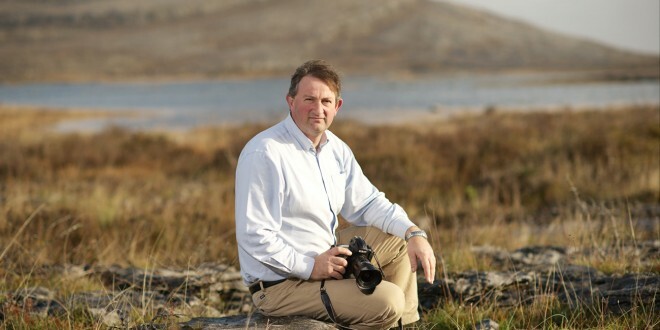 AWARD-winning Clare Champion photographer, John Kelly, is celebrating 25 years with the newspaper and, to mark the milestone, he will launch a special exhibition of his work on Friday, November 6 at Glór. “When I joined The Clare Champion in 1990, I remember covering the county show in the Showgrounds in Ennis and shooting 27 rolls of film. I went there and shot everything around me. Now, it’s about holding back and observing,” John said of the way his approach to photography has changed over the years. John said there are certain similarities between acquiring good timing as a photographer and being in the right place in a sporting context. “Someone said to me it’s like in sport where players often know where to be when the ball is coming. In other words, they’re instinctively on the run at the kick-out or when there’s a corner coming in, they know where to be. There’s nothing happening there at the moment but this is where the action is likely to happen. It’s an instinctive kind of a thing and it has developed over the years,” he noted. John’s exhibition, Between You, Me & The Wall, is being organised by The Clare Champion in partnership with Glór, while the RNLI is the designated charity that will benefit. As well as launching the exhibition next Friday night, John will also speak to well-known broadcaster Ciana Campbell about his most memorable photographs and the stories behind them. John’s photographs have appeared in many publications over the years and his work formed an integral part of the acclaimed publication, The Scattering, which tracked 78 Clare emigrants across the globe. John and a team of local photographers went around the world to snap people in their adopted countries. John himself travelled to England, Belgium, Australia, New Zealand and Papua New Guinea to record the story of those who left Clare for far flung places. John has numerous photographs that stir up strong memories but there are a number that stand out for him personally. “There’s a photograph that I love and have always loved and I have a connection to it. 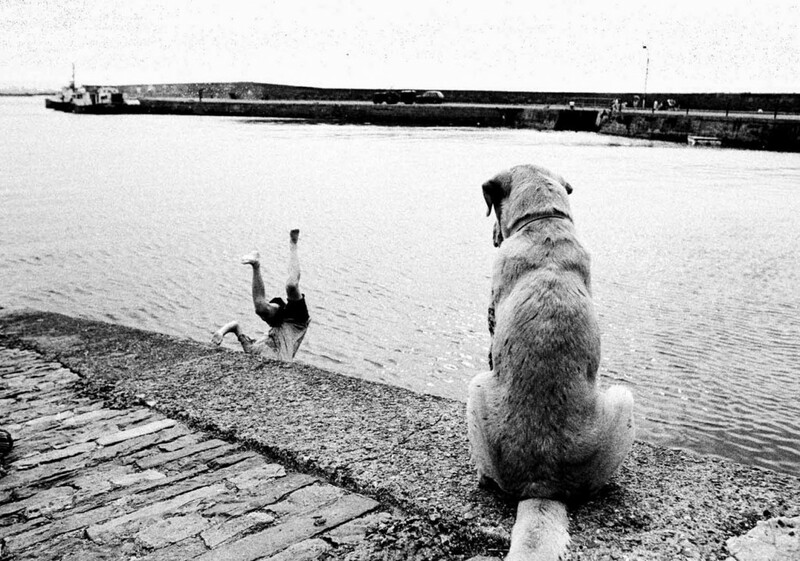 It’s a photograph of an old dog sitting on the slipway at Cappa Pier in Kilrush and the dog is looking at a child tumbling into the water,” he said. PPAI Feature picture of the year 2007. Photograph by John Kelly. John said the photograph is a kind of role-reversal. “I called it Fetch Boy, Fetch because normally you’d see the boy throwing the stick and the dog jumping in, whereas here you have a very sensible dog watching a little boy tumbling into the water,” he said. “Fetch Boy, Fetch went on to win me feature picture of the year in 1997. So that’s a picture that has a particular place in my memory,” John continued. Another photograph that stands out is when Clare won the All-Ireland hurling final in 2013. Clare’s Darach Honan and Shane O Donnell, who replaced him and went on to score 3-3, share a quiet moment in Croke Park following the All-Ireland in 2013. Photograph by John Kelly. John said a lot of talk was focused on the two players before the match. When he saw them together, he instinctively thought it would make an excellent snapshot of the occasion. “I remember going up in the car and there was rumours that Shane O’Donnell was going to be brought in instead of Darach Honan. 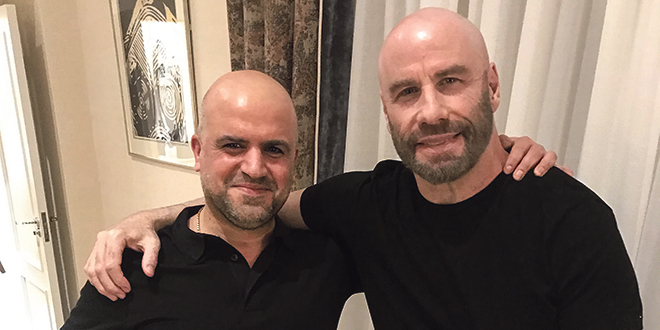 For me, it was a great achievement to get that photograph because I don’t think any of the other 40 photographers there noticed it,” he said. 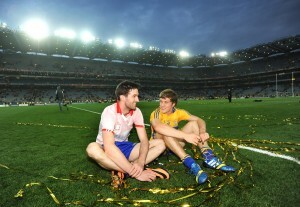 “I knelt down and got a shot of the two of them sitting in what looked like an almost empty Croke Park after the game. They very relaxed together with absolutely no hassle between them. I think that captured the spirit of the occasion,” he added. “For me, the type of photography I do is all about people. It’s about people’s interactions with each other, people’s relationships, the highs and lows in people’s lives. John said he is lucky that he works in a newspaper where photography has always been highly valued, which is not often evident in a lot of regional papers. “Let’s hope the exhibition is a way to show both the readers and maybe people involved in newspapers that there is still a place for photography and even photography that’s a little bit quirky or different,” he said. John is delighted to be raising money for the RNLI in the process, as the cause is close to his heart. Shelly Galvin of The Clare Champion said the exhibition came about when she realised that John was approaching 25 years with the newspaper. She thought it would be appropriate to mark his huge contribution to the publication with an exhibition. Shelly said she contacted Angela Connaughton of Glór last January to discuss the possibility of an exhibition and that it “snowballed from there”. “I’m delighted John’s on board and he’s got a great guy for framing, Tony Meskill. 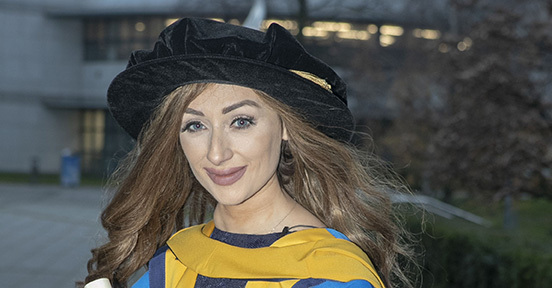 We’ve an awful lot of invitations from The Clare Champion alone so I can imagine that with John’s family and all of the other people, there’ll be a lot of support for it,” she said. Shelly said the RNLI is a fantastic choice as a charity. “I wanted something that would cover the coast of Clare. 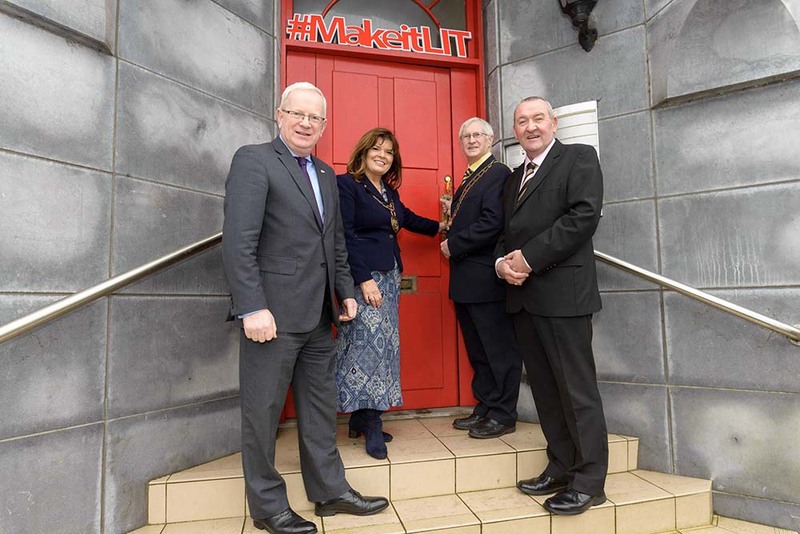 We had a meeting at Glór and we all agreed it was a great idea; John’s family have connections with the coast guard and it’s all gelling together very well”. Managing director John Galvin said The Clare Champion is delighted to showcase John’s talents. “It’s probably utterly unique to have a staff photographer with you for 25 years and somebody with John’s extraordinary talent. We’re very, very lucky because he has an eye that cannot be beaten to get a picture that basically gets into your soul,” he said.